Info: This feature requires Content Station 10.17 or higher. 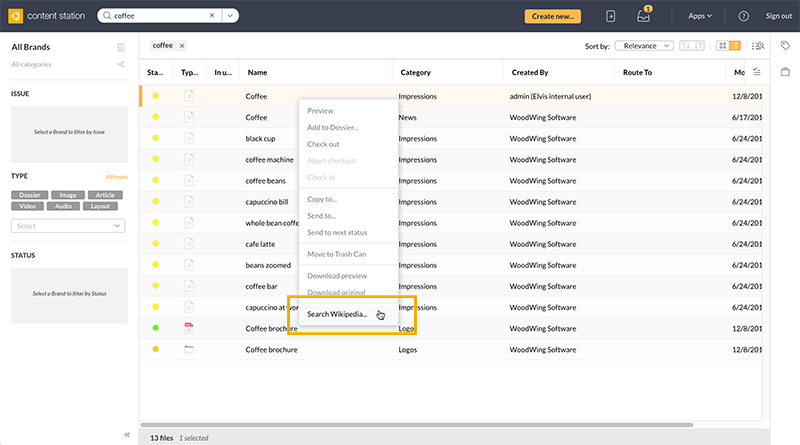 One of the ways of adding custom functionality to Content Station 10 is by adding commands to the context menu of a file. These commands can be linked to specific actions. Example: You can add functionality such as printing a file, downloading a custom contact sheet in PDF format, and so on. Note: The context menu is accessed by right-clicking a file. 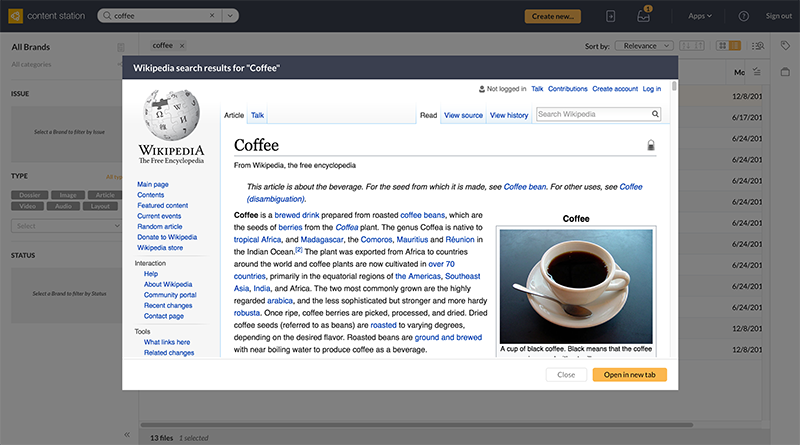 Figure: In this example a file named 'Coffee' is referenced on Wikipedia. Figure: The result is displayed in a window and can optionally be opened in a new tab. The actions need to be created or obtained yourself; they are not provided by WoodWing.